We love the support for green initiatives by Earthborn Holistic pet foods. Learn more about two of their in-house programs to support recycling and sustainability. We love the support for green initiatives by Earthborn Holistic pet foods. They share information on recycling and protecting our resources, along with promoting alternative energy sources and providing educational links on conservation for children. In addition, they also have two in-house programs to support recycling and sustainability. To date, 333,070 empty Earthborn Holistic bags have been collected in designated Earthborn Reborn collection bins at 572 participating retail locations. Each pound of collections results in a one dollar donation to the retailer's pet charity of choice. So far, $30,768 has been raised for retailer-selected charities! The Pet Beastro has selected one of our partners, the Michigan Greyhound Connection, as our charity of choice. TerraCycle takes the donated plastic packaging and recycles it into branded, usable products. Any time you purchase an Earthborn Holistic product, you can submit the UPC code from the package and send it to their UPCs for Trees program. You can help reduce greenhouse gases by supporting the creation of forests worldwide in areas affected by deforestation. 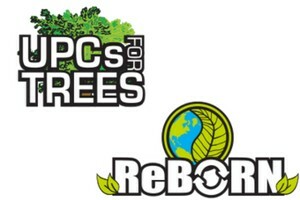 To date, 522,946 trees have been planted as a result of the UPCs for Trees program. We're proud to carry brands like Earthborn Holistic that not only support nutritious and healthy pet foods for the animals we all love but also work toward a responsible and sustainable way of doing business.